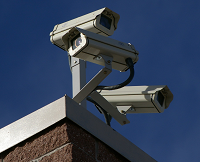 Privacy rights have come into sharp focus in Canada recently. A pair of stories have surfaced in Canadian media that raises a lot of questions. Online privacy has taken a back seat in recent months in Canada to concerns about copyright. This is in part because CETA is well on its way to coming into force now. Still, it has happened in the past that when copyright law reform crops up, privacy rights issues seem to crop up as well. One example was clear back in 2005 when Bill C-60 and Bill C-74 died on the order-paper. So, in a weird sense, it seems like history may be, in a way, repeating itself thanks to the recent stories about wiretapping. One of those stories is an investigative report by the CBC. The story details how Stingray tracking technology has been deployed in Ottawa near parliament buildings and various embassies in the area. The immediate concern was who was behind it. This is because, at the time, it was unknown who was behind this deployment. Stingray technology is a hugely controversial piece of technology typically deployed by police in various countries. What they do is intercept cell phone signals by acting as fake cell phone towers. Anything being transmitted and captured can be read by whoever is using the technology. After that, the signal is then sent to a real cell phone tower where the communication can still take place. So, phone conversations, texts, passwords, or anything else, can be eavesdropped on. “That an MP or a person who works on Parliament Hill could be exposed, that they could be a victim of this type of attack— it undermines our sovereignty,” he said. In a statement, Mounties now admit they used the devices 19 times in 2016 as a part of investigations. The statement says they are used only to identify and locate suspects’ mobile devices, and that they are only deployed for a short period of time. “Its use is limited to only the most serious cases, and only when there are grounds to believe that a suspect is using an unknown cell-phone to conduct criminal activities,” reads the statement. It says other than in “extremely urgent cases,” officers must get a judge’s authorization before the tech can be deployed. Of course, this still raises a whole lot of concerns. Even if there is a specific target in mind, what happens to innocent people’s data? What is the policy surrounding this? After all, the technology intercepts all signals that go through it, so it is impossible to be specific on who you are targeting while collecting the data. In addition, what are the legal safeguards surrounding this technology in the first place? The federal government has yet to release its response to last year’s national security consultation, but at least one thing is increasingly apparent. Lawful access, the regulations that govern police access to Internet and telecom subscriber information, will be back on Public Safety Minister Ralph Goodale’s legislative agenda. Lawful Access has a long history in Canada. In addition to our example clear back in 2005, Lawful Access continues to crop up throughout Canadian history since that time. In 2007, Lawful Access made a return. In 2009, there was an additional effort to bring in Lawful Access. In 2014, yet another attempt to bring in Lawful Access was made. That time, Amanda Todd was used as an excuse to bring the legislation in. Amanda Todd’s mother, Carol Todd, was dismayed at that reasoning and demanded that Amanda Todd not be used as a reason for the erosion of civil rights in Canada. In response, there were efforts to have her voice silenced on the matter because advocates have grown increasingly impatient that their surveillance legislation is still not passed. There have been repeated themes over the years about why advocates want to bring in legislation. Reassurances include the excuse that “if you have nothing to hide, then you have nothing to worry about”. That, of course, does not sit well with civil rights advocates and activists who sometimes retort, “What gives you the right to spy on me in the first place if I have nothing to hide?”. As far as the general public is concerned, the Canadian public never had an appetite for warrantless wiretapping. Still, the Canadian government through both Conservative and Liberal governments have pushed hard for such legislation. The question is, are we going to see another repeat of the Lawful Access debate? Are advocates going to face another quip like Vic Toews famous, “you are either with us, or with the child pornographers”? If history is anything to go by, the debate only stands to get ugly.